It's only paper, but OH WHAT A PAPER! We called for our final electrical inspection the week before Christmas. The inspector came out on Thursday and WE PASSED! We now have the certificate of completion. This is the one and only inspection we need on this house. When we first decided to build out here, we called the Yellowstone County Building Department to find out about getting our permits & found out that since we are so far out of the city limits the electric was the only thing that we had to get a permit for. Really surpriesed us. Not dissappointed with that though. We can now move into the house when ever. We are still planning on waiting until the entire house of 99.9% done. Atleast that is the plan for now. The closer we get the harder it is not to move in. Who's kitchen could this be? Considering how much I love to cook (NOT) the big question is why in the world would we need to put in not one more oven but a double oven. 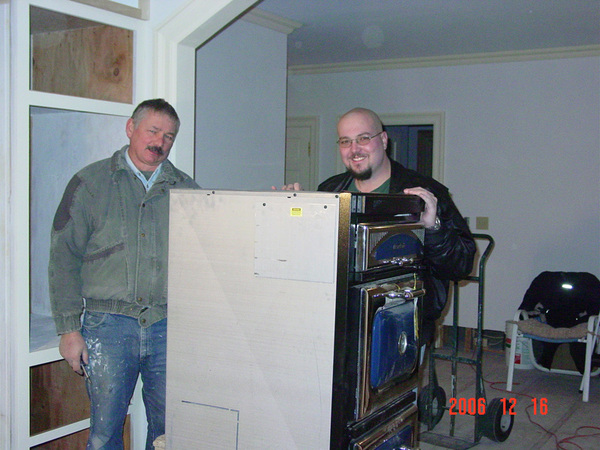 My friend Gary figures that five years from now the oven will still have the manufacturers labels in it. My response to that is that I'm sure Monica will love the ovens whenever she comes home for vacations. 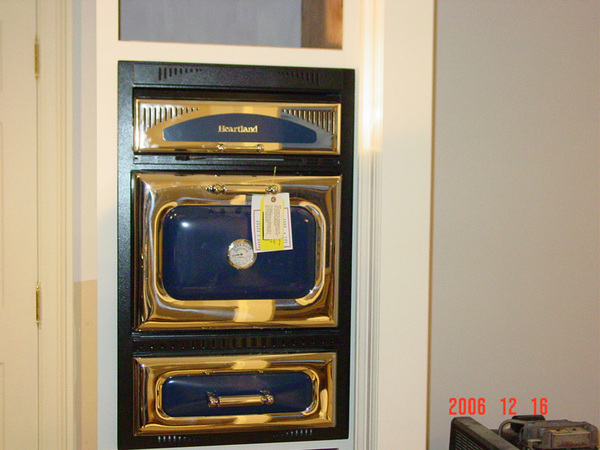 You don't have to cook to enjoy the really classy looks of the ovens. 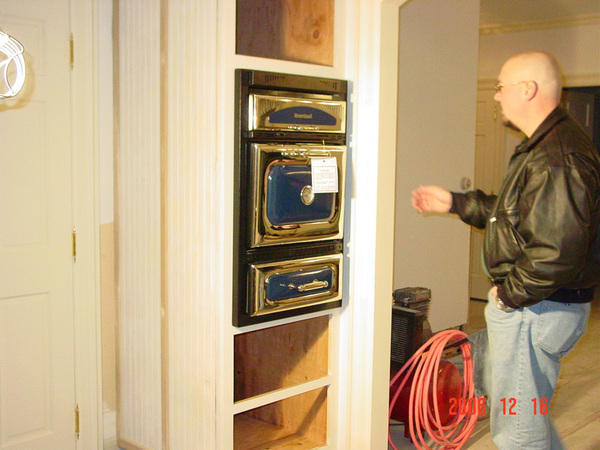 Ed built the kitchen cabinets. They have bead board on all the ends of the cabinets, All the shelves will have formica on the bottoms to give them a clean sleek look. 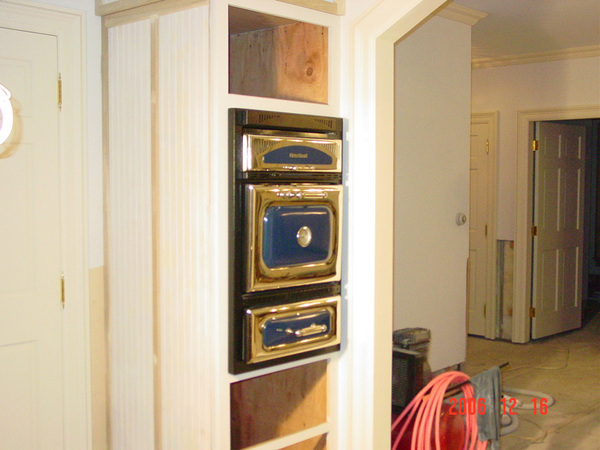 The upper most cabinet will have glass doors with some rope lighting inside. 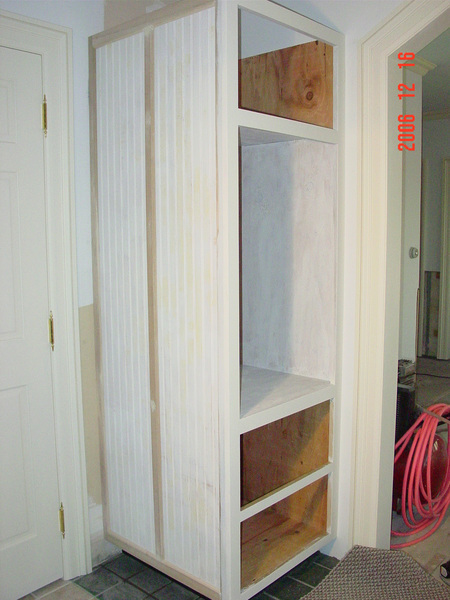 We will use these cabinets mainly for a display and storage area.